PHPList is a opensource newsletter manager which allows us to add and manage subscribers along with creating and sending email newsletters. 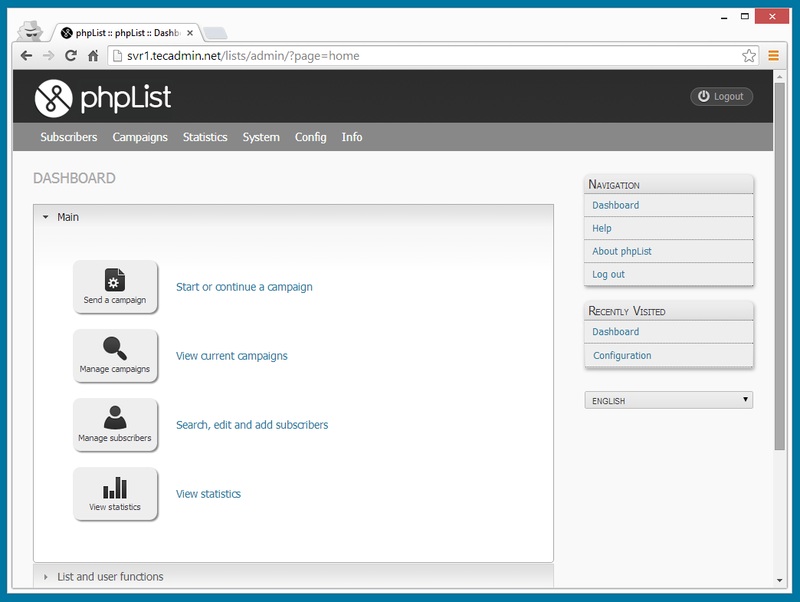 PHPList is created with PHP and MySQL. 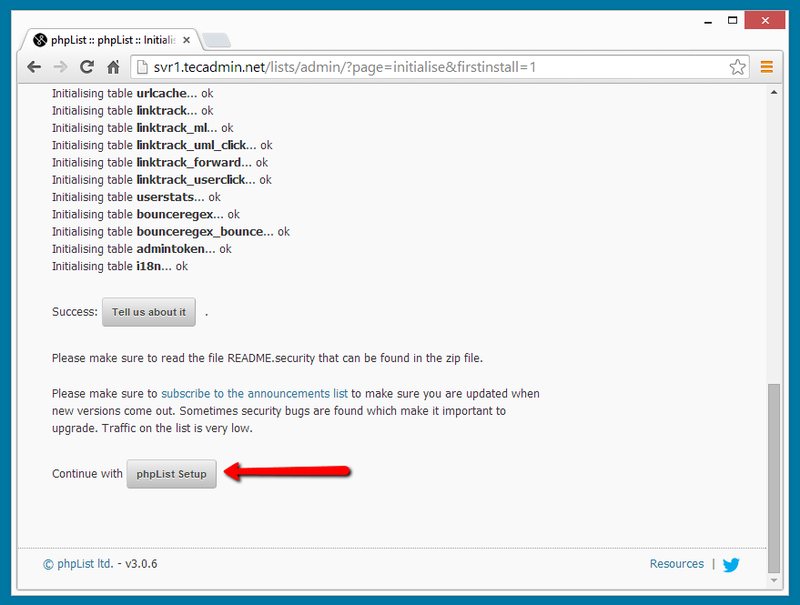 This article will help you to setup PHPList in Linux server. 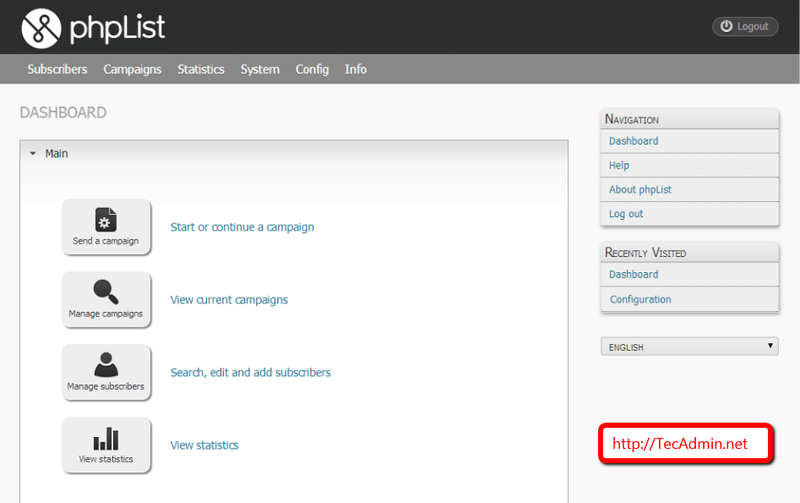 PHPList has a very long list of features, Anyone can use it easily for their business by sending emails. Below is few features listed of PHPList. Tracks links and URLs. Statistics by message, URL and subscriber. Lets you write and send messages, and manage phplist over the internet. Allow you to choose many different combinations of templates, languages, user attributes and lists. You can use Subscriber Attributes in message content to make each and every email message personalized. Subscribers can be given the choice between text or html email messages. 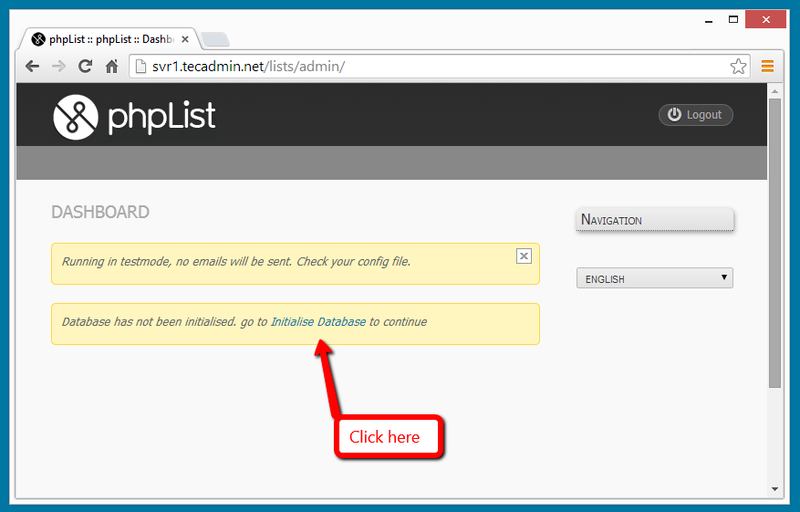 Use CSV and tab delimited files to import your existing list of users or to export the users. keeps your database clean of unused and non-existent email addresses. 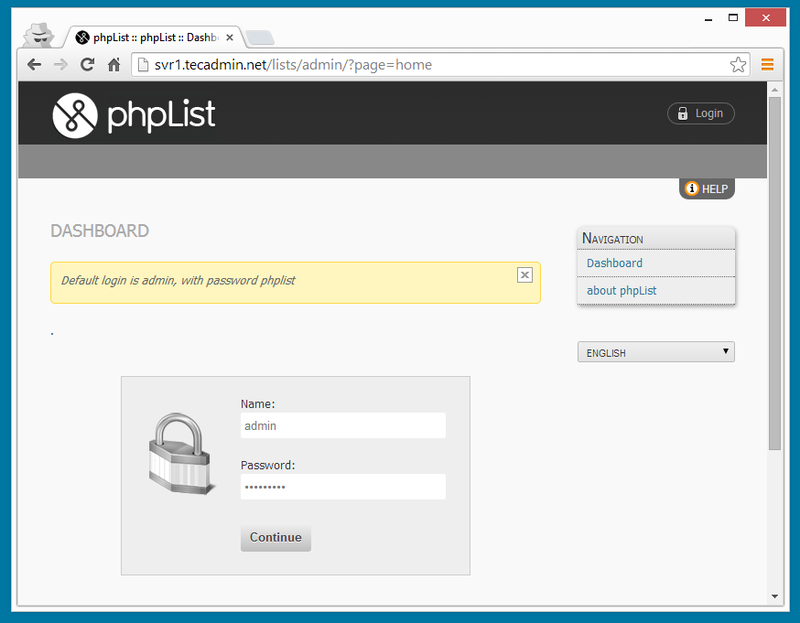 Login to your mysql database server with root user and create a new database for PHPList. 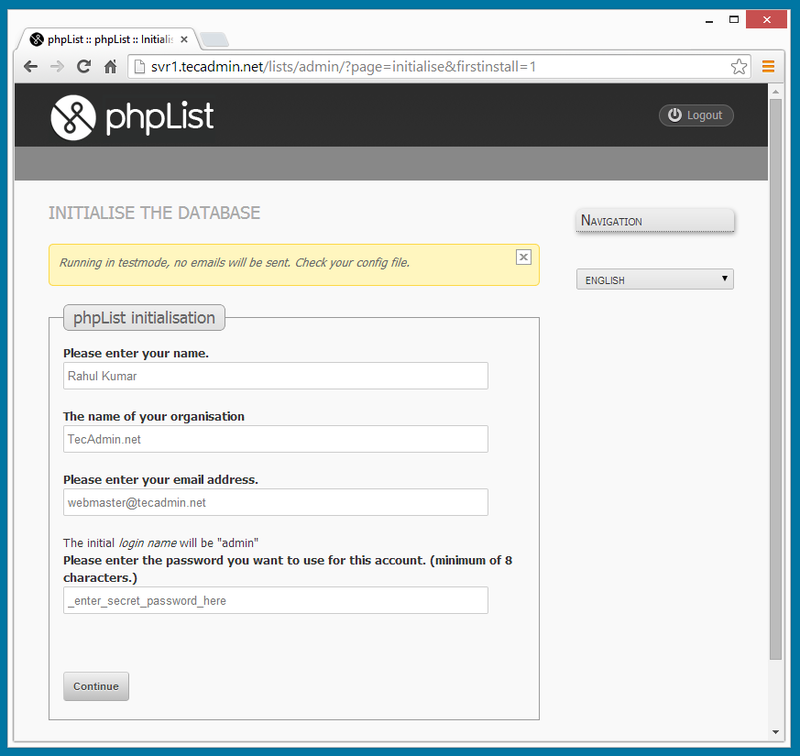 Also create a mysql user with full permission on phplist database. Now edit PHPList configuration file config/config.php and update following values. 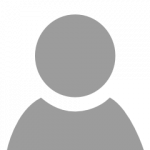 Change value of TEST variable to 0 to disable test mode (0=disable test mode, 1=enable test mode) . 5.3. Showing that installation has been completed. 5.4. Login with useradmin admin and password used above. followed all steps in your article and every thing went well without any error. but when i start phplist using my ip address i get a blank page without any error. I think you have fixed issue… I can see page properly on given url.